A new MacBook dock can handle a 4K display, VGA, and Ethernet, but lacks passthrough power. 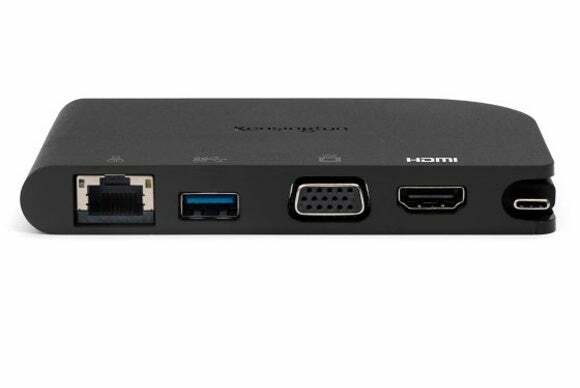 The Kensington SD1500 USB-C Mobile Dock ($89.99 MSRP; $80 on Amazon) is another in an ever-larger collection of docks intended for Apple's MacBook and for other USB-C equipped devices. 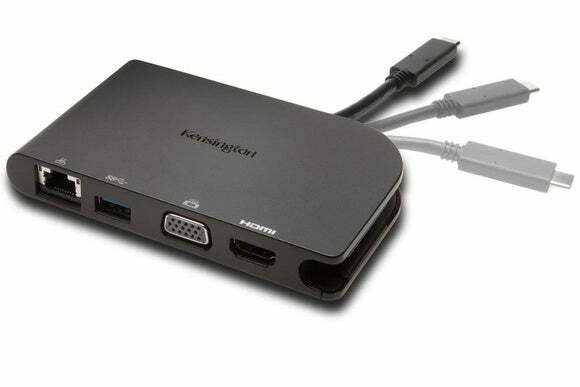 The SD1500 combines 4K monitor support (over HDMI), gigabit ethernet, USB 3.0, and VGA video. What it doesn’t have is power pass-through. It’s clearly intended as a dock you throw in a bag to use for presentations, but not for a working day at a desk. 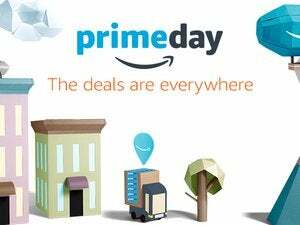 The built-in cord neatly bends into a curved slot for storage. The USB 3 port gave me some trouble. I wanted to test throughput with both a 4K monitor connected and without, as USB-C has to commit some data lanes to DisplayPort video traffic for higher-resolution displays, and that in turn can reduce USB 3.0 rates to 2.0. Because of how the MacBook is set up, I didn’t see a reduction in USB 3.0 speeds, but I wasn’t able to get a MyDigital OTG USB 3.0 drive to work consistently with benchmarking apps. During testing the SSD repeatedly would stall and then drop off the bus. I contacted Kensington, which tried to duplicate the problem with other brands of SSD, and sent me the reports; they had no problems. I tested the same SSD with a USB-C to Type-A (female) adapter from Apple connected to the same MacBook, and it tested out correctly. A hard drive I’ve used in previous USB 3.0 dock testing worked fine with the Kensington dock as well. I have to put this down to some firmware or interaction issue specific to the drive rather than the dock. Since the most likely use of the USB 3.0 port is for an external keyboard or other peripherals, drive reliability won’t be an issue for most people in any case, and the problem I experienced seems particular to the mode. The SD1500 is tailored to an audience, and the $90 price reflects it. Because it lacks pass-through power, you have to fit the profile rather exactly of managing whatever you need to with just two to three hours of battery life, considering the drain may be faster if you’re running the video circuitry in your MacBook for a 4K monitor through the dock. 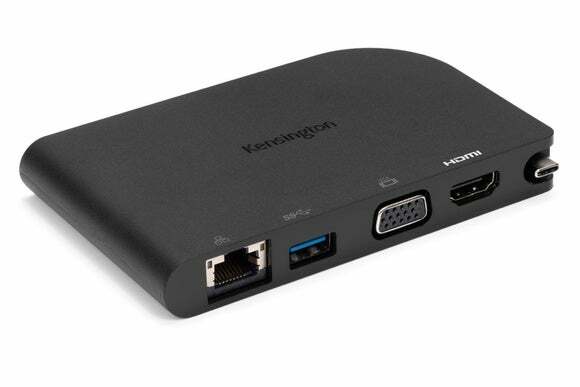 For the specific needs of the frequent video presenter, the Kensington SD1500 is the most compact, most versatile, and least complicated USB-C dock for the traveling MacBook user.